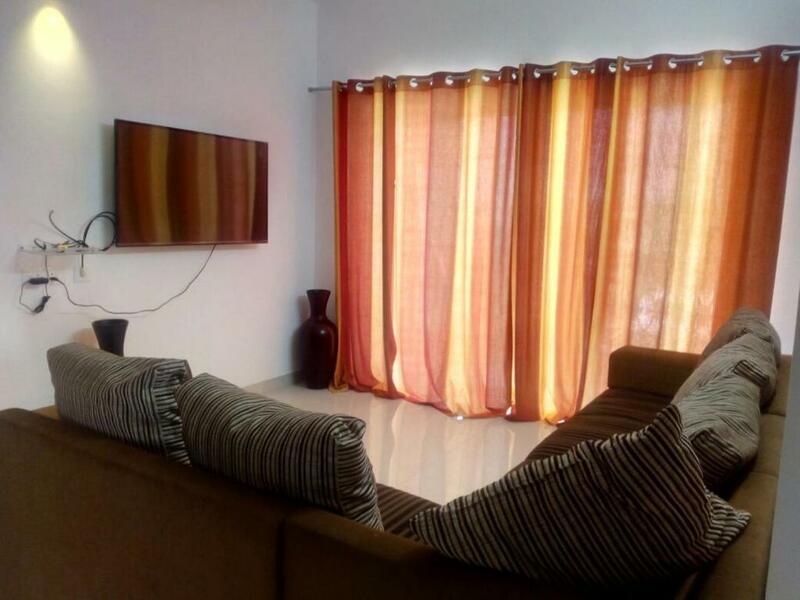 Neat and clean apartment at a good location near the airport with good transport facilities available.Apartment was spacious and well furnished. The owner was helpful to provide route direction and access to apartment. Property is spacious, well ventilated,lots of natural lights. Most important is you have a complete privacy and it feels like your home with the cooking gas and other arrangements . Host are very friendly and makes your trip memorable.lacation is also good. And all major location are around 20 mins drive. Felt like home, clean place, worthy stay, the stay and trip was so rememberable. We didn't expect it to be so clean we wear amazed looking at the apartment maintenance fecilities. provided owner was great. Looking forward to visit again.worth staying. it's like a second home. u will find everything in place. location is good, ambiance is gud. Overall it's value for money. We definitely would like to stay here again if we are planning to visit mangalore. Lock in a great price for Sai Deep – rated 8.9 by recent guests! One of our top picks in Mangalore.Featuring air-conditioned accommodations with a terrace, Sai Deep is set in Mangalore. This property offers access to a balcony. The property includes a living room with a flat-screen TV. The kitchen is fitted with an oven. Mangalore is 3.1 mi from the apartment. This property also has one of the top-rated locations in Mangalore! Guests are happier about it compared to other properties in the area. This property is also rated for the best value in Mangalore! Guests are getting more for their money when compared to other properties in this city. When would you like to stay at Sai Deep? This apartment has a dining area, air conditioning and kitchen. Our apartment is located at Marry Hill, Airport road Mangalore opposite Apple mart. Airport is just 10 Mins drive and towards city its just 5 mins. City bus stand, Auto stand are just below the building. Few famous restaurants of Mangalore like The village and Trishna are within 1km from here. 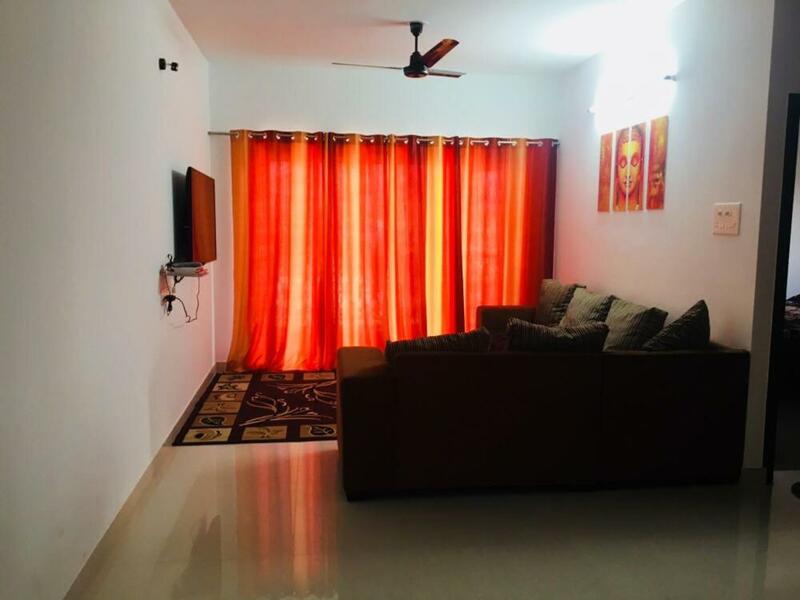 This is 1330sq feet fully furnished 2BHK flat with air conditioner in both the bedroom. kitchen is also fully furnished to cook any kind of food of your choice. like to meet new people and make new friends. Apartment located near Marry hill, Airport road, Mangalore. House Rules Sai Deep takes special requests – add in the next step! Please inform Sai Deep of your expected arrival time in advance. You can use the Special Requests box when booking, or contact the property directly using the contact details in your confirmation. All the kitchen utensils and most of the appliances were dirty and uncleanable. Bed sheets were not available and on request bed covers were provided, which look unwashed. i have booked for 8 persons and expected 8 beds but it was only 2bhk. Toiletries and tea bags were not provided. Nothing major, but if they could have provision for a drinking water facility would have been great. Because we had to buy too many bottles. there's nothing to say about what We didn't liked. Everything was good.